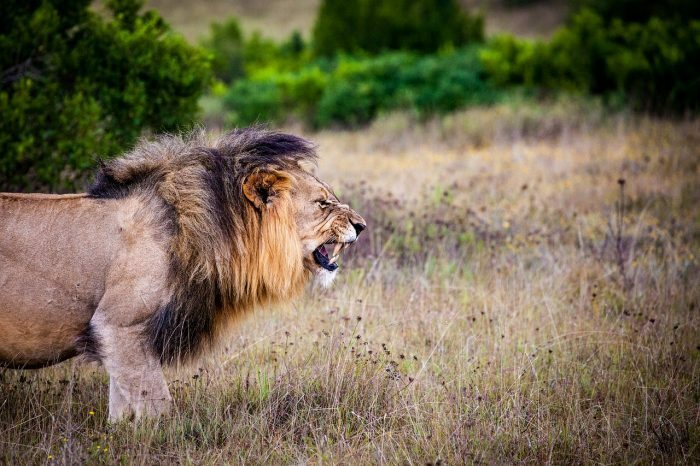 No predators hunt lions to eat them; however, they do have a few natural enemies, such as hyenas and cheetahs. Hyenas compete with lions for food and often try to steal their kills. Humans are another major enemy and are the largest threat to wild lion populations. Lions are popular targets for trophy hunters, especially amongst wealthy westerners. People frequently kill lions to protect their livestock, which reduces their populations. Some tribes also kill lions for ritual purposes. Humans also threaten lions indirectly through habitat loss and competition for prey. Sometimes, lions get caught in hunting traps set for other animals.